Happy Holidays everybody! It is the fifth annual Christmas giveaway here at ADBZRPG so we are going to have a pair of prizes this year. You only need to enter into the contest once and you will be eligible to win each of the prizes. The first prize is a set of 7 Dragon Ball Z Crystal Dragonballs. The Dragonballs are made of PVC and come in a box. They are brand new and a pretty cool collectible. Each measures a little over four centimeters in diameter so they fit in the palm of your hand. Check out the picture below to see what they look like. 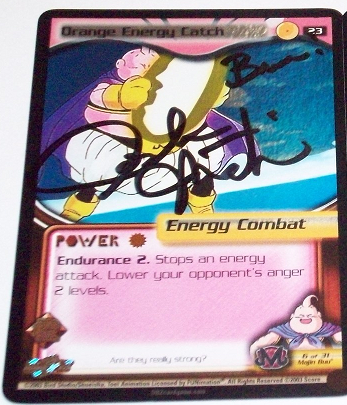 The other prize is a DBZ CCG foil card "Orange Energy Catch" signed by Buu's voice actor Josh Martin. All entries also receive +100 all stats and +5 DP. Prize winners get an additional bonus +100 all and +5 DP. All you need to do to enter is post a reply on the official entry thread stating that you would like to enter. Entries will only be accepted between December 12th, 2012 and December 23rd, 2012. Any entries submitted prior to or after those dates will not be counted. A winner for each prize will then be randomly selected and announced on December 24th. It is possible to win both prizes but each prize will be drawn for separately. Limit one entry per member. You must be a member of the RPG whose join form was accepted on or before December 12th, 2012 to enter. Also please only enter if you are willing to privately give Alex your shipping address (if you're under 18 years of age please seek parental approval). Your information will be kept confidential. 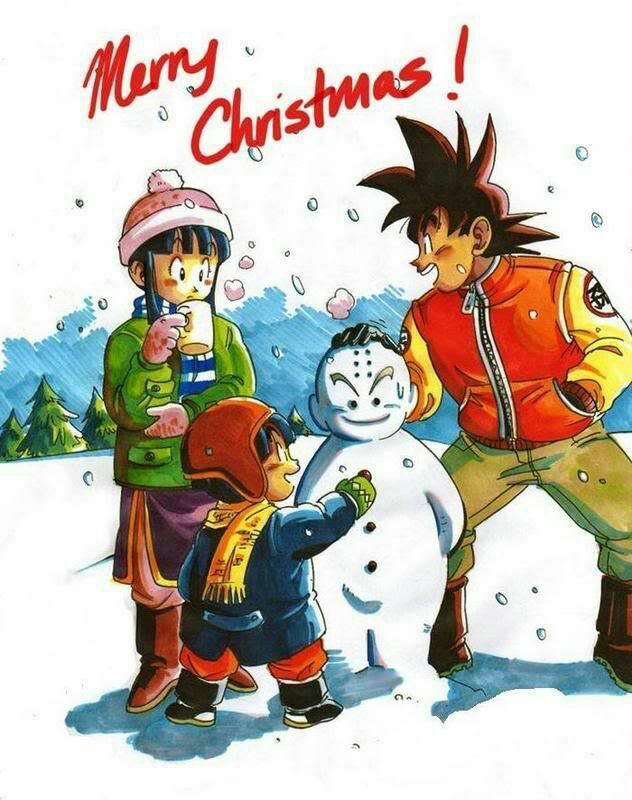 The Dragonballs and card will go to member(s) who lives within the continental United States. Members who live outside of the United States may still enter. If they win, they will still be awarded the +100 all and +5 DP bonus, then someone else will be drawn for the prizes. Good luck!